Pluto’s retrograde has ended and Venus’s has begun. Pluto, the ruler of Scorpio, brings with it the energies of empowerment and transformation through engagement with the shadow self (ie. all the dark bits of your personality). Many of you who are working through major life transformations will find that things proceed more smoothly from here – good for you! On the other hand, Venus rules beauty, love + partnerships, and (to some extent) money. Watch your budget, be kind(er) to everyone, and hold off that makeover until after 16 November. So let’s get to the reading! 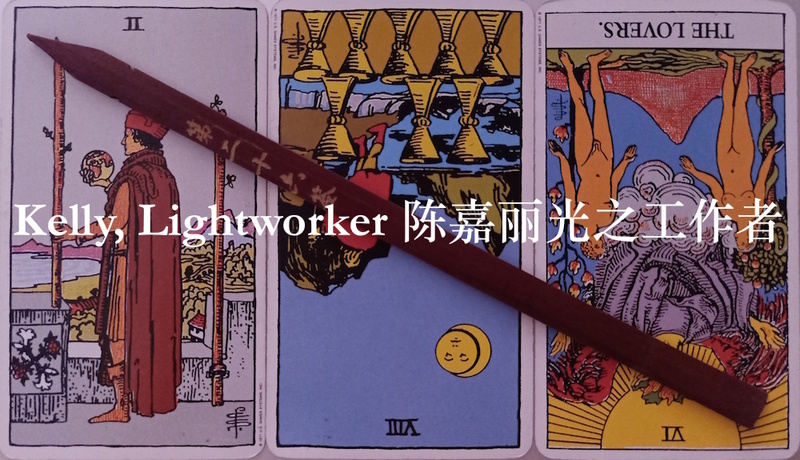 LEFT: TWO OF WANDS. The reading starts off promisingly enough. The Two of Wands signifies a situation where you’re contemplating the horizon of your potential and wondering which opportunities to get a hold of. This card augurs well for networking, online communications, long-distance relationships (both personal and business), and is generally a green light for making plans and dreaming dreams. Is this a good card for acting on those plans? Not quite yet. But that time will come quickly enough. For now, the Two of Wands says: make your plans absolutely rock-solid because your opportunity to act is coming very soon! MIDDLE: EIGHT OF CUPS REVERSED. Remember what I just said about not quite acting on plans yet? When this card appears, you are encouraged to think very carefully about your plans to move forward or to walk away from someone or something that no longer aligns with what you want. This is by no means an instruction that you’re NEVER meant to move on – rather, you’re asked to sort out your plans completely and tie up all the loose ends before you make that move. Remember that timing in the Tarot (and divination in general) is usually FLEXIBLE AND CONDITIONAL. RIGHT: THE LOVERS REVERSED. And here’s why you’re being asked to sit tight until your plans are settled, my darlings. In the Tarot, The Lovers was originally known as The Choice. When this card appears, it can (but doesn’t always) represent the appearance of your one true love. This card – especially when in reverse – signifies the appearance of multiple options that require you to discern good from bad, right from wrong, before you make your final decision. When The Lovers appears reversed, it indicates a subtle warning that more needs to be done before you can be truly capable of making the best decision for yourself. So get to it! a message from Heaven gifts you with honour! But in the end, the rumours prove false. This divination lot warns against the perils of vainglory, as well as the foolishness of seeking quick and easy shortcuts to one’s desired outcomes. When this lot appears, be mindful that you are not seeking gain for its own sake, or for your own personal glory. What is the bigger picture here? How can you contribute to a greater good and serve a higher purpose through the work of your hands, rather than rushing here and there after false and fleeting opportunities? Remember: Not all that glitters is gold. You are advised to be true to your nature, and to make the decisions that align with your authentic self. Anything less would shortchange not only yourself, but also the world. Don’t rely on other people, use cheap tricks, or pursue false glory to get the validation you desire. Your job is to find that value within yourself, and act accordingly.